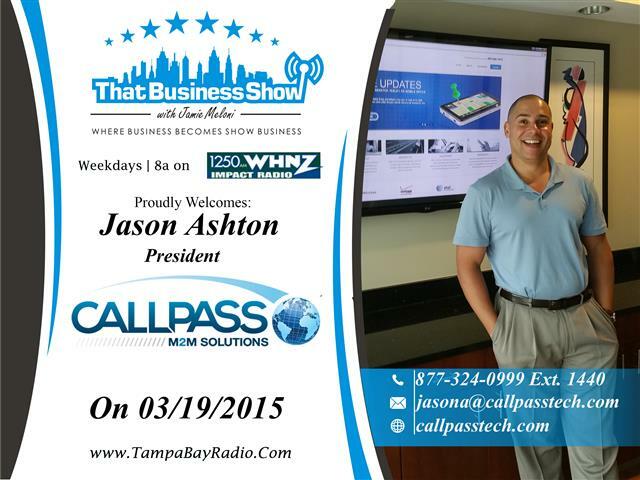 Today on That Business Show, I spoke with Jason Ashton, President of CallPass, a privately owned company founded in 2006 in Clearwater and specializing in providing GPS tracking solutions to the sub-prime auto lending industry. This device allows sub-prime dealers to know exactly where there vehicles are in the event of a loan default making for easy recovery. This application has a variety of other uses including fleet tracking and mileage tracking for the self-employed needing to deduct their miles every year. Jason was brought on as President in 2008 and Jason has helped grow the company from a startup to 35 full time employees, 6,000 customers across 42 states and 5 countries and they ship on average 10,000 to 12,000 devices every month. In 2013 CallPass Tech opened a subsidiary company CallPass Tech M2M Solutions Inc, this subsidiary also operates within the GPS Tracking Device space while providing Mobile to Mobile Solutions for Fleet, Container, Trailer and other Asset tracking needs. With a wide array of GPS Tracking devices for Motor Vehicles, Heavy Machinery and Non Powered Assets combined with proprietary software applications CallPass M2M Solutions is fast becoming a real player in the ever growing market segment of Mobile to Mobile device solutions, GPS Tracking and Internet of Things where millions of devices are being connected daily. To learn more about this amazing technology, visit http://www.callpasstech.com or contact via phone at 877-324-0999 X 1440. Jason is available via email at jasona@callpasstech.com. The 2nd half of the show was The Remodeler’s Corner with Jim Yeager of Yeager and Company along with his friend and sub-contractor partner, Charlie Paleveda. Jim was also joined in studio with his windows treatment sub contractor, Pat Woodrich. Yeager and Company is a 3rd generation general contracting firm that specializes in flooring installations and re-models but can handle any and all of your building needs. Charlie the Plumber adds plenty of flare and commentary around the latest political stories in the news as well. 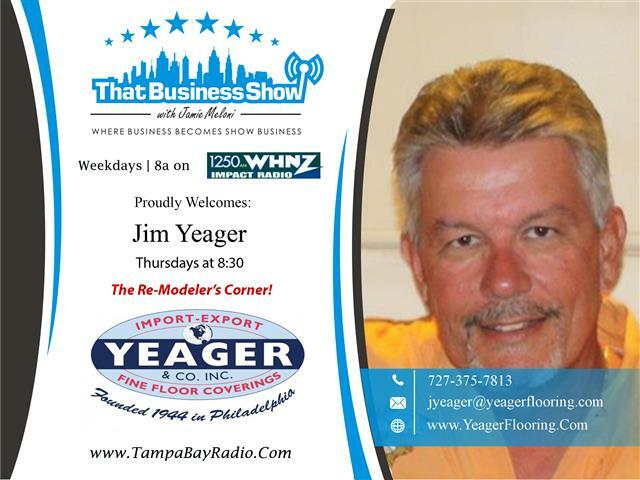 Tune into this great show and reach out to Jim Yeager of Yeager and Company for all your contractor needs from flooring to remodeling. Learn more at www.yeagerflooring.com or contact them directly at 727-375-7813 or email at jyeager@yeagerflooring.com!